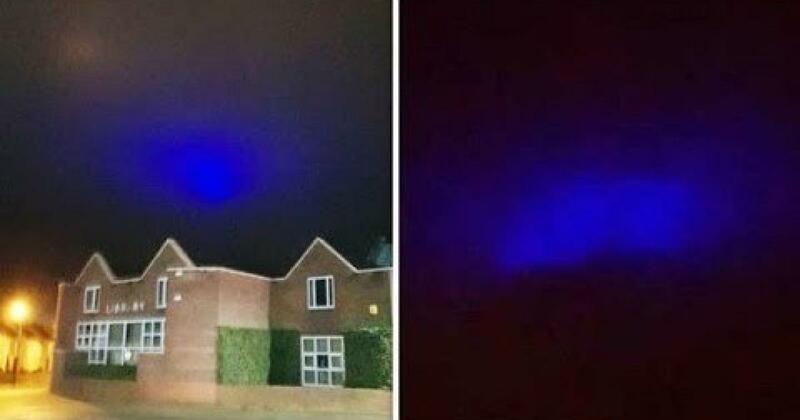 STRANGE blue lights moving through the night sky have been spotted by residents in Buckinghamshire and Oxfordshire as some onlookers describe seeing a UFO. Late last night concerned residents expressed their disbelief on social media as they reported seeing an unusual light that looked “like a pair of eyes”. James Lidington, who saw the bizarre occurrence from Princes Risborough, told Express.co.uk: “I first notice them at around 11pm, and they lasted around 2 mins before dispersing. “The lights were very large and shaped like a pair of eyes looking down at you. “It moved across the sky, we only lost sight of it as it disappeared out of sight. Sightings of the blue lights were seen across the county and were spotted by multiple people. The lights were also photographed by residents of Bicester in Oxfordshire. Mr Lidington continued: “It looked like maybe someone had a bright light on, like a flood light but it got brighter and moved across the sky, right over us before vanishing out of sight. “You read and hear story about people seeing what they think is aliens. Another onlooker described a “blue sky” on Twitter. The strange sighting is one of several sightings of off activity in the skies over the past few months. In November residents in the Russian city of Yekaterinburg were left perplexed as they claimed to have seen an alien spaceship. An unidentified object was caught on camera in the early hours of Monday morning and fell near the southern outskirts of the city near the local EXPO exhibition centre and Koltsovo airport. Despite the video evidence of the incident taking place, the Russian Emergency Ministry’s branch in the country’s Sverdlovsk region has said there were no reports of any such events taking place. The local airport also failed to see the green light.